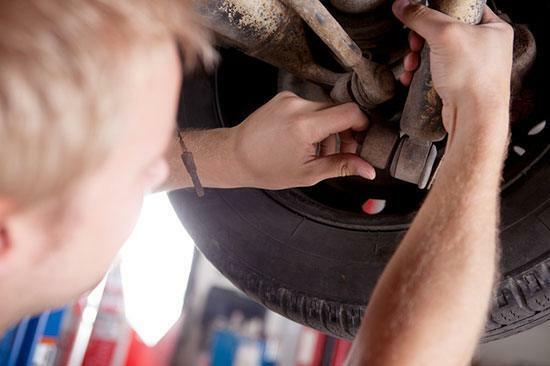 When your vehicle’s suspension, shocks, or struts are not working properly, you can feel it. Without a good suspension, shocks, and struts, you are in for a bumpy ride. Jack’s Auto Service’s is an expert in repairing your vehicle’s driveline and chassis. Since the 1980s, we have been building a reputation as the leading auto repair center in Grand Rapids. How? We treat our customers with the utmost respect. Our technicians are highly skilled. Plus, we communicate with our clients throughout the entire process. If you prefer a phone call, we will call you. If you prefer a text, we will send you one. You will be informed about the status of your vehicle throughout the repair process. At Jack’s Auto Service, our auto repair technicians are experienced, and ASE certified. Our team stays up to date with current automotive trends and tech standards. In other words, we go the extra mile to deliver our customers the absolute best auto repair and service in Grand Rapids. We try our best to ensure your vehicle’s driveline and chassis system is repaired correctly the first time. At the end of the day, we stand behind our work. Our team will thoroughly inspect your car’s driveline and chassis system to find the root of the problem. We will leave no stone unturned when repairing and servicing your vehicle's suspension, strut, and shocks system. If your personal automobile or fleet is in need of shocks & struts, suspension maintenance or repair, we invite you to Jack’s Auto Service. You can trust our friendly and experienced staff to get your car, truck, minivan or SUV driving its best!